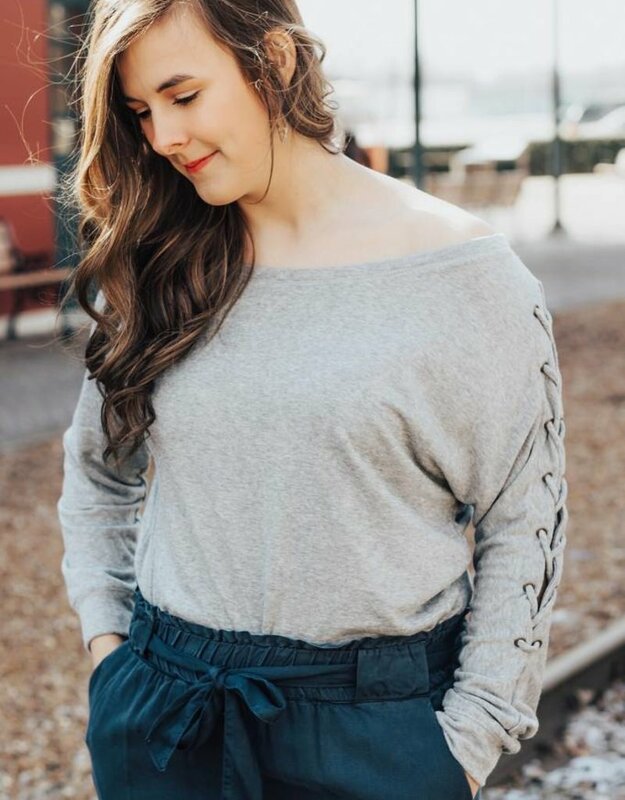 This grey top is so comfy & the lace up sleeve detail makes it so chic! 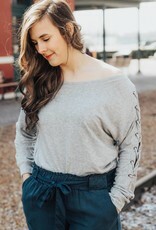 This is such a versatile top that you can dress up or down for any event. Throw this on with pants or a mini skirt for an easy but stylish look! I love this top! I paired it with a black lacy bralette to add some texture! It runs true to size!